Registration, Barista Guild Unification Panel, Natural Wine tastings, sensory activities and beer! Join your fellow attendees for an exciting evening learning more about the upcoming unification of the Barista Guild of America and Europe. It’s your chance to ask questions to your Barista Guild leadership! Participate in a natural wine tasting ahead of Thursday’s presentation. Enjoy sensory activities and beer! Learn more about the upcoming unification of the Barista Guild of America and Europe. We'll have an open forum for you to hear the latest news from their Unification committee meetings. This is a perfect opportunity to ask questions to find out what's happening! Sensory activities, beer and more! Yemen's role in the story of Coffee is often overlooked, especially considering the massive influence it exerted on the beverage for hundreds of years before the rest of the world got their hands on it. Learn more about this important chapter and how Yemen may hold solutions for some of today's problems. We’ve recently seen specialty coffee enter markets beyond third wave cafe culture, such as supermarkets, capsules, ready-to-drink beverages, fast-food chains, and even instant coffee. 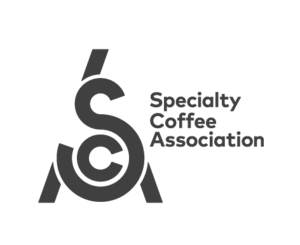 What does this emerging world of Specialty Convenience Coffee bring to the table, what is its influence on the quality in the cup, the customer base, and the ultimate implication on the sustainability of specialty coffee, and the identity of the barista? Nicholas Cho will moderate a panel by industry experts involved in this expansion, such as Tony Konecny, LoCol and Yes Plz, Jen Apodaca, Royal Coffee, and Kent Sheridan, Voilà Coffee. Together they’ll try to tackle these, and other questions on this exciting new trend in coffee. We live in a time where shoppers now contextualize what they consume. Often a certain term gives a sense of perspective. Fair trade coffee. Organic produce. Grass-fed beef. These activate consumers by inviting them to consider the opposite. If this coffee isn't fair-trade, what kind of deal did the farmer get? If this tomato isn't organic, what exactly are they spraying on it? And, what exactly do cows like to eat? When it comes to wine though, people are confused, and rightfully so. The wine industry has traditionally been an opaque one. We've heard more and more talk ofnatural wine, but what exactly is natural wine? And what isn't? Martha Stoumen gets transparent in her talk, from grape to glass. ny conversation about coffee’s value chain inevitably centers on inequality, and the impact of post-colonialism. That discussion tends to focus, quite rightly, on the uneven distribution of equity from retail to production, and on the more uncomfortable reality that it’s not changing fast enough. But inequality can also exist within other segments of the value chain, a sentiment that’s been long-felt by many in the barista community, but only recently surfacing in the broader narrative. Join Ashley, Jasper, and Liz as they lead the audience through an interactive session on unpacking privilege and discussing issues of diversity and inclusivity within the coffee industry. Come join us at Royal Coffee’s office on the Emeryville pier for a casual, social event for female identifying folk to ask professional roasters questions. Our aim is to encourage women in the coffee industry to become roasters. We will have roasters up and running as well as some refreshments and snacks.